By Alexandra Jardine . Published on May 09, 2017. Ming Utility and Entertainment Group, the company co-founded by former McCann chief creative officer Linus Karlsson together with Brian DiLorenzo in 2014, has appointed Jeff Geisler as president. Geisler was most recently global CMO for Saatchi & Saatchi, and has also worked as CMO for Jay-Z's Roc Nation, handling both its music and sports properties. Prior to that, he spent seven years as head of business leadership at McCann New York, where he ran client service for clients such as Verizon, MasterCard, General Mills and Unilever. Geisler and Karlsson worked at McCann together for nearly three years. Iris has added two new creative directors in its London office, while Grant Hunter returns to London after a spell as regional executive creative director in Asia, based at the agency's Singapore office. Rachid Ahouiyek joins from McCann WorldGroup, having previously worked at Wieden & Kennedy and 72andSunny on brands such as Nike, Coca-Cola, Zurich and Chevrolet. He will be leading creative teams across the agency's Adidas account, as well as other clients. Deb Gerrard joins from Albion, with a portfolio of work including Thomas Cook's "Pool Kid", Compare the Market, Unilever and Adidas. Hunter returns to London in the role of European executive creative director. Prior to his Singapore post, he was the lead creative on the agency's London 2012 Olympic Mascot work and has overseen work for Diageo, Adidas and Samsung in Asia. Innocean Worldwide Americas has made a series of hires and promotions. 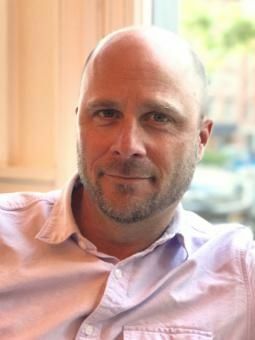 Jeff Bossin joins as VP, group creative director, from Deutsch LA, where he worked with brands including Target, Zillow, PlayStation and Real California Milk. In his new role, Bossin will be responsible for developing and overseeing integrated national campaigns for Hyundai. Michael Everard and Kelly Kliebe also join as VP group creative directors. Everard has been a writer and creative director on brands such as Lexus, Honda, Toyota, Mitsubishi Motors, Chevy, and Saturn. Kleibe joins from The Garage Team Mazda and has worked at agencies such as Saatchi & Saatchi, working on brands including Mazda, Toyota, National Geographic, Sony, and Charles Schwab. Lori Martin, who has been promoted to creative director at Innocean, has an extensive background in the automotive industry, working with luxury brands Jaguar and LandRover at Wunderman. Marius Gedgaudas joins from Ignited as a design director, and has worked with brands like Target, Levis, DirecTV, Dr Pepper, PlayStation, Taco Bell, and MTV. In other hires, Brazilian creative team Gabriel Gama and Guilherme Grossi are joining from TBWA / Raad, Dubai, and Alvaro Soto comes from McCann Peru. 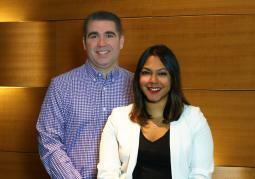 DDB New York has appointed Reema Mitra as group director, digital strategy, and Joe Panzarella as group director of data and analytics. Both will report to Stuart Hazlewood, chief strategy officer of DDB New York. Mitra joins from Huge, where she oversaw social media, social commerce, eCRM, loyalty and segmentation strategy for clients including Nokia Health and Kohl's. Prior to Huge, she worked at Edelman Digital. Before joining DDB, Panzarella oversaw the digital and analytics department for Javelin and has worked on brands such as Verizon, AT&T and Avis. He is also an adjunct professor teaching analytics and digital marketing in NYU's School of Professional Studies program. Japanese startup studio Quantum is setting up its first overseas subsidiary, in the San Francisco Bay Area. Launched in 2014 as a division within TBWA/Hakuhodo, Quantum specializes in providing resources, support and know-how for both international corporations and startups. 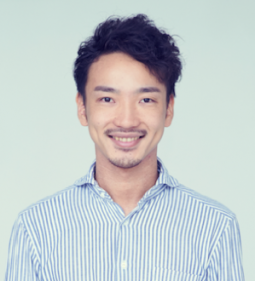 Quantum/Global will be headed by Yuta Inoue, who has been leading Quantum as a general manager since its launch. He will aim to expand its services, connecting large Japanese corporations and startups from around the world.